The Wah Cantonment Ordnance Complex consists of three nearby armament facilities in Wah (Pakistan Ordnance Factories - POF), Kamra (Air Weapon Complex - AWC), and Taxilia (Heavy Industries Taxila -HIT). One or more of these facilities is probably associated with the weaponization of Pakistan's nuclear devices. According to some reports, the main storage and maintenance site of the Pakistani nuclear weapons, particularly the weapons at a 'screwdriver level', is located at the 'ordnance complex' in Wah. The Taxilia facility is devoted to land combat systems, and is an unlikely candidate for nuclear weapons development work. The Air Weapon Complex at Kamra is devoted to air-to-surface munitions, among other activities, and would probably have at least some connection with the development of air-delivered nuclear weapons. Wah Cantt is located in the North West of the Islamabad at the distance of the 50 km. It is a valley as it is surrounded by hills from all directions. Wah is always the favorite place of the mughal rulers. They built here a Garden Known as Wah Garden. It is still present with it's remains .It is located on the main G.T bisecting the Hasan Abdal and Wah Cantt on the main G.T road. It was a very beautiful and charming place. The word Cantt was added to Wah in 1951, when Prime Minster Khawaja Nazam-u-Din unveiled the stone of Pakistan Ordnance Factories Wah Cantt. It is the sole one Ammunition factory of wah cantt.It is the complex of 14 factories. The Wah Cantonment is adjacent to Taxila city, which is enriched with one of the most important archaeological sites of the world as well as Asia. The ancient name of Taxial was 'Takshasila' means the "city of cut stones". Taxila had been the cradle of the world's greatest civilization. It is the place where Ghandhara civilization and sculpture art took roots and flourished. There are excavated ruins of three prominent cities, Bhir Mound, Sirkap and Sirsukh. There are also many important monasteries, stupas and palaces excavated all along the Taxila valley. Taxila was conquered by Alexander in 327 BC. It later came under the Mauryan dynasty and attained a remarkably mature level of development under the great Atoka. Then appeared the Indo-Greek descendants of Alexander's warriors and finally came he most creative period of Gandhara. The great Kushan dynasty was established somewhere near 50 AD. During the next 200 years Taxila became a renowned center of learning, philosophy and art. Pilgrims and travelers were attracted to it from as far away as China and Greece. Wah Cantt is a multicultural City. People from every corner of the Pakistan are serving here. They all are away from their home with a mission. Their mission is just and just to make Pakistan more and more stronger. You may observe here culture of every region from Karachi to Khyber . People are very cooperative and literate. Most of the people are factory employees. The city is un flourished in the morning ,but all charm of the city restored in the evening. Every facility of the life is available at door step. There is a very peaceful and pleasant atmosphere. Wah Cantt is divided into 27 sectors and some private colonies are also there. The most famous colonies are GULISTAN COLONY , BASTI /LALA RUKH AND NAWAB ABAD. There are popular and good markets includes Aslam market, Basti market, and Nawab Abad . One thing, which make it more prominent, conspicuous and distinguished, is its stander of education and literacy rate. Literacy rate in Wah Cantt is 100%. It is the highest rate of literacy in any region of Asia. There are near about 115 educational institutes with near about 50000 students. Wah Cantt has proved its mettle in both liberal and technical education. The Pakistan Ordnance Factories (POF), responsible for conventional weapons production, is located in Wah Cantonnement. POF is a government organization operating under the Defence Production Division in Pakistan's Ministry of Defence. The Pakistan Ordnance Factories is a complex of arms and ammunition manufacturing factories employing more than 40,000 personnel. POF provided the weapons and ammunitions to the Pakistan Army and all their foreign clients. However, since POF can not produce the complete inventory of the Pakistani Army's armament needs, a high content of the Armed Force requirements are imported. During their colonial rule, British built sixteen ordnance Factories which at the time of partition in 1947 all fell to Indian control. Pakistan's first Prime Minister, Khan Liaqat Ali Khan, issued a directive within four months of the creation of Pakistan to establish an ordnance Factory in collaboration with British Royal ordnance to manufacture 303 rifle and its ammunition in Rawalpindi. Pakistan's second Prime Minister, Khawaja Nazim-ud-din, did the ground breaking ceremony for four workshops in a small town of Wah. The two main subsidiaries -- Wah Industries Ltd., and Wah Nobel Ltd. -- were established to utilise spare capacities of Factories for commercial applications. Subsequently Hi-Tech Plastics Ltd., Wah Nobel Chemicals Ltd., Wah Nobel Detonators Ltd., and Attock Chemicals Ltd., were set up to meet the requirement of civil market. Founded in 1962, Wah Nobel is a joint venture between Saab Sweden, Almisehal Saudi Arabia and the Pakistan Ordnance Factories. POF produce approximately 70 major products for supply of Army, Navy and Air Force. The main products include automatic rifle; light medium and heavy machine guns, complete range of mortar and artillery ammunitions, aircraft ammunition and anti-aircraft ammunitions, tank ammunition and anti-tank ammunitions, bombs, grenades, land mines, pyrotechnics and signal stores etc. Starting form raw materials, all other inputs needed for the manufacture of arms and ammunition such as brass, gilding metal clad steel, steel products carbide and tungsten alloy products, fuzes all types of gun, rocket and artillery propellants, and all types of explosives are produced in POF. During the 1990s there was a massive influx of new technologies which permitted an upgrade of production technology. This involves the use of modern equipment e.g. robotics, CNC machines, microprocessor - controlled processes, and automation. Major investments were made in CNC machines and computerisation of management and control systems. To augment the product and tool & gauge designing facilities, a modern CAD system was installed. Quality control, proof firing and inspection are carried out by the inspection and Technical Development Directorate of General Headquarters. According to some reports in the late 1990s, a Uranium enrichment plant was under construction in Wah, possibly with Chinese assistance. This facility may [or may not] be the otherwise un-attested "Uranium Conversion Facility, Islamabad" that was cited in the 1998 Entity List. While Pakistan's main uranium enrichment facility is at Kahuta, smaller uranium enrichment facilities exist at Sihala and Golra. Pakistan also has a new enrichment facility near Wah, designated the Gadwal Uranium Enrichment Plant by the US government. On November 18, 1998, the Bureau of Export Administration (BXA) published a rule in the Federal Register (63 FR 64322) that added certain Indian and Pakistani entities to the Entity List in the Export Administration Regulations (EAR). On March 17, 2000 a new rule removed 51 Indian entities and modified one entity's listing. This rule re-designates the Pakistani entity, Gadwal Uranium Enrichment Plant, as a government entity under Sec. 744.11(c)(1) of the EAR, instead of its initial designation of a military entity under Sec. 744.12(c). The license review policy for this entity will remain one of denial for items controlled for NP or MT reasons, except items intended for the preservation of safety of civil aircraft, which will be reviewed on a case-by-case basis; and computers, which will be reviewed with a presumption of denial. All other items subject to the EAR to this listed entity will be reviewed with a presumption of denial, with the exception of items classified as EAR99, which will be reviewed with a presumption of approval, under the new review policy set out by this rule. 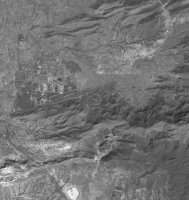 High resolution imagery is available from two sources, including declassified CORONA imagery. 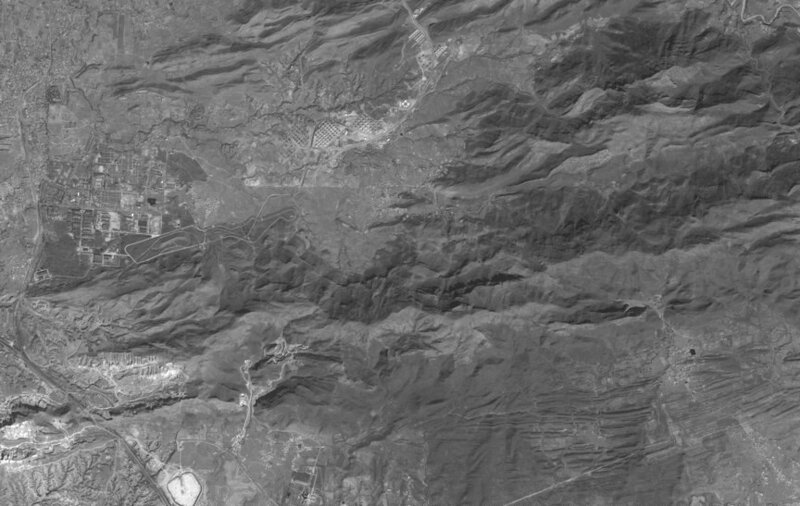 As of 04 June 2000 Russian 2-meter resolution KVR-1000 imagery coverage was not available via the SPIN-2 service on TerraServer. 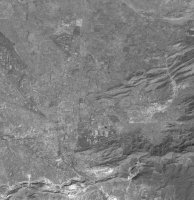 As of 04 June 2000 archival Space Imaging IKONOS 1-meter imagery available on the CARTERRAT Archive included two cloud-free scenes acquired on 12 March 2000. 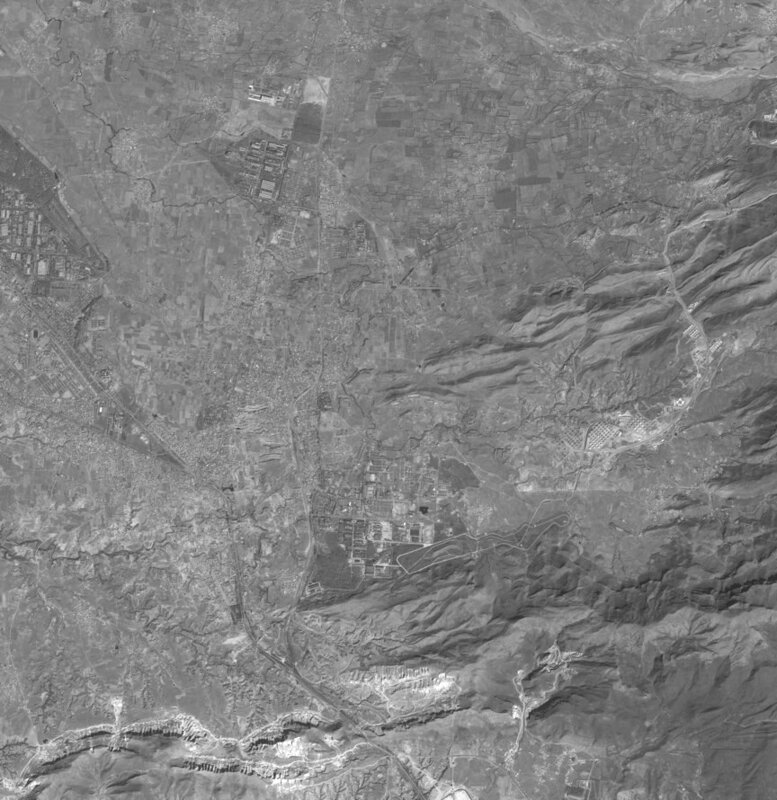 The location of these scenes is almost certainly consistent with the Wah/Kamra/Taxila area of interest, although the metadata appears corrupt, and thus the orientation of the browse images is uncertain. Consequently, it is not possible to correlate the three entities in this area with the several large complexes that are evident in the images.